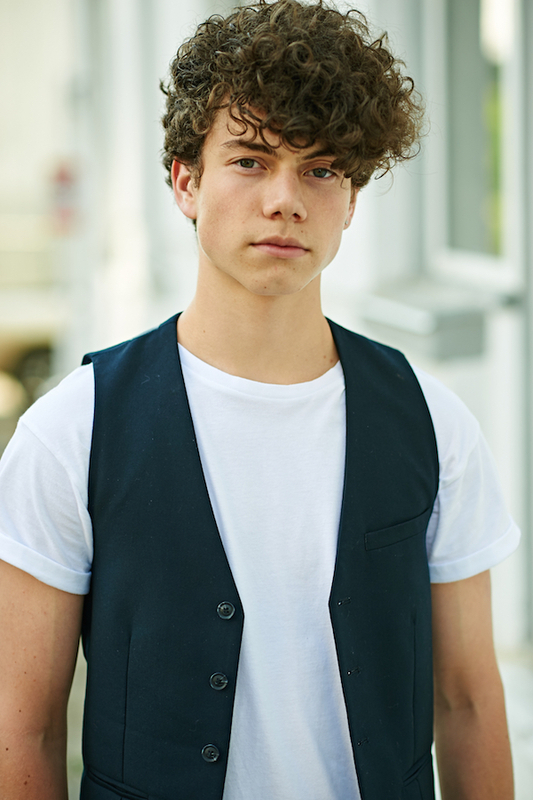 Sam is a 16-year-old dancer, actor, student, performer, brother of two amazing sisters, and uncle to an adventurous nephew and a beautiful niece. Sam was born in Boston, Massachusetts and moved to Hamburg, Germany soon after. He spent seven years in Germany but found his love for dance when moving to Vancouver, Canada in 2009. Sam started off by taking just a few classes a week and as his love for dance grew he kept adding to it. Sam is known for his great attitude and respect in class as well as outside of dance. He picks up choreography and can apply corrections very quickly, and he is very adaptable to change. For the past three years Sam had been part of the Half-Day Program at NSAD (North Shore Academy of Dancing). The program included 20 hours of training per week in various styles of dance including hip hop, jazz, ballet, broadway, lyrical, contemporary, and modern. Sam also trained during 2016 and 2017 as a member of Kolanie Marks’ KM Elite training in Seattle, where he trained for one full weekend every month. He frequently travels to LA to participate in intensive workshops and to take private lessons with Alexander Chung, Porcia Hendrix, and others. Sam also regularly trains privately in Vancouver with choreographers like Shauna Smith and Nii (Prince) Engmann. In September 2017 Sam was chosen by Carlo Atienza to be a part of his new hip hop crew ‘Infinity Riderz’. This summer Sam worked for 3 weeks as a dancer at the PNE Fair in Vancouver as a cast member of the ‘Action Austin’ show. He enjoyed that whole-heartedly! Sam is also actively pursuing his acting career. He takes private coaching classes with Shannon Sturges in Los Angeles and Beatrice King and Albert Nicholas in Vancouver, as well as currently participates in a 3-month group acting training with Beatrice and other coaches. Sam has been training martial arts for 6 years and is a Taekwondo black belt. He trains about 4 hours every week and is part of the Leadership Team of Tony Kook’s North Shore Taekwondo. Sam loves traveling around the world, spending time with family and friends, participating in dance conventions in the US and Canada, assisting kids’ Taekwondo classes, skiing, listening to music, and reading Manga comics. Some of Sam’s fondest accomplishments have been to dance on stage with Justin Bieber during his Purpose Tour in Vancouver, being selected in 2014 and 2016 to dance at the Provincial Honour’s Performance with his hip hop group “Mischief”, as well as performing at the opening ceremony of the Taekwondo Junior World Championship 2016. Sam has won numerous awards in dance competitions as well as scholarships at conventions such as “Velocity” and “V.I.P.”. He has made the Honor Roll in the past two consecutive years at Sentinel Secondary School where he is part of the French Immersion Program.